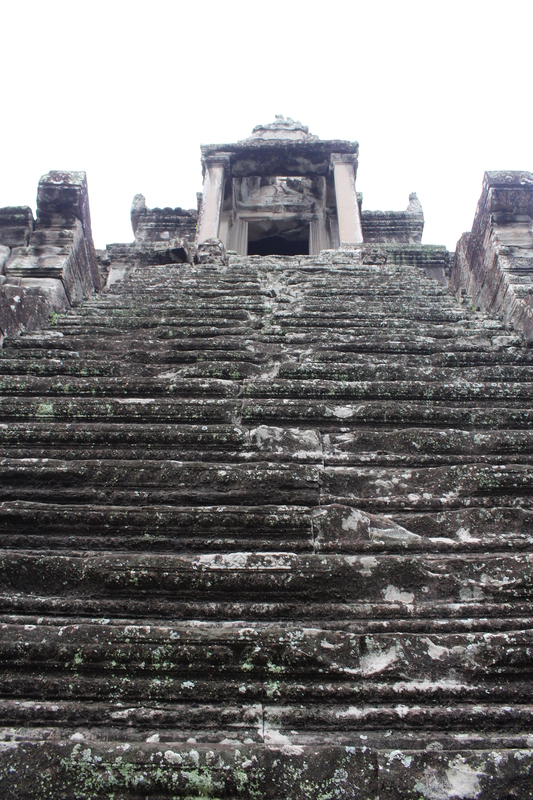 A tour of Cambodia would not be complete without a trip to Angkor Wat. So intrigued to explore this world heritage site we booked a sunrise trip to see one of the wonders of the world for ourselves. 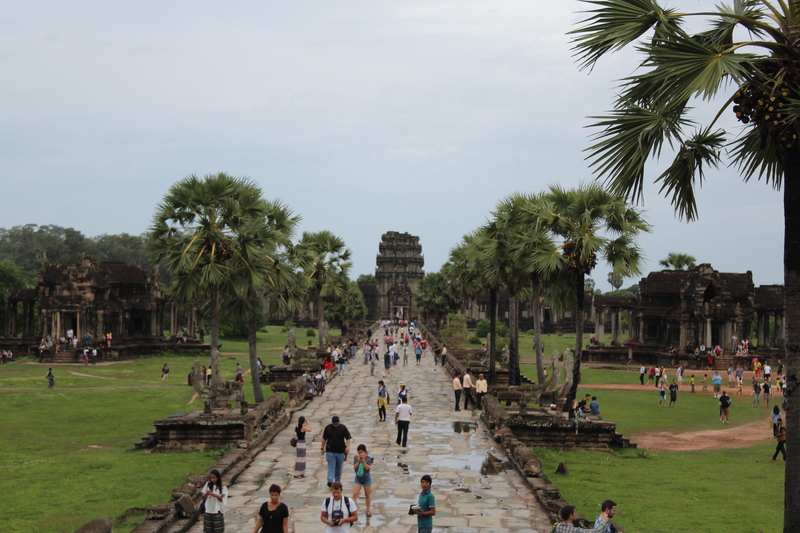 Built in the first half of the 12th Century Angkor Wat is one of the most important archaeological sites in South-East Asia and with the magnitude of the structure stretching over 400 km it truly is vast and an architecturally complicated temple. 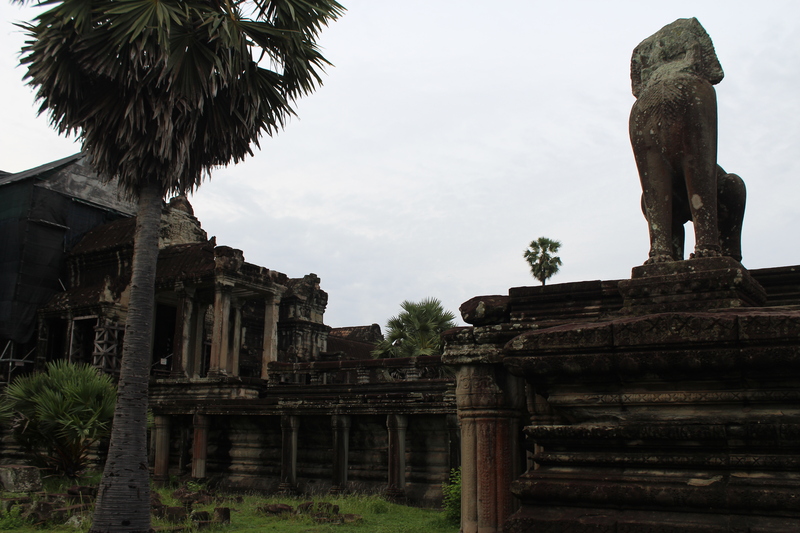 ‘Wat’ is the Khmer name for temple which is said to have been added to ‘Angkor’ when it became a Theravada Buddhist monument. After 1432 when the capital moved to Phnom Penh, Angkor Wat was cared for by Buddhist monks and its is believed Angkor Wat was a memorial temple for King Suryavarman II and is oriented to the west to conform to the symbolism between the setting sun and death for this reason. Today the magnificence of the construction conveys a pomp and an extravagance that surpassing that of a Pharaoh or a Shah Jahan. Its brilliance greater than Egyptian Pyramids and its splendor as fine as that of the Taj Mahal. 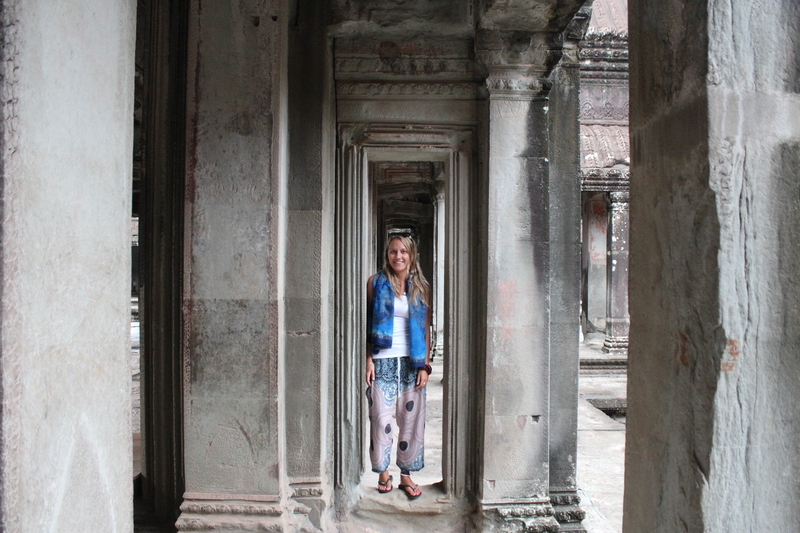 Angkor Wat in its state of preservation is truly unrivaled. 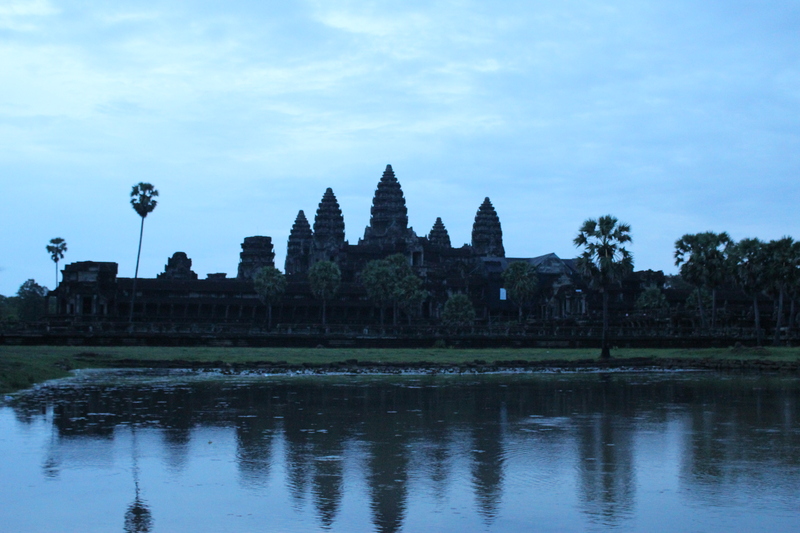 Located just north of Siem Reap, to see this spectacle in all its glory you will need to set off early. Take a tuk-tuk and aim to arrive at the site for around 3:30 4:00 am to secure a spot in front of the grand temple before the sunrises. Be prepared for crowds but try not to let this hinder the moment you see the grandeur before you come to life, as the sky breaks out into striking colours to reveal Angkor in all of it glory. 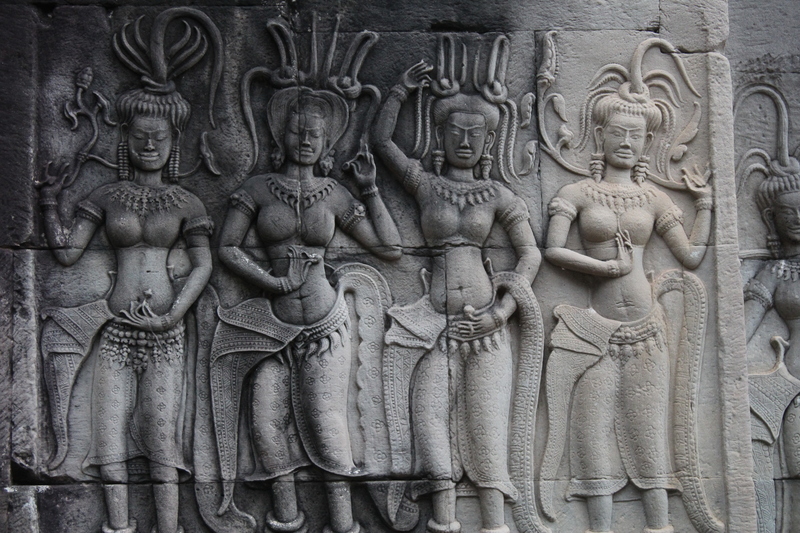 Angkor Wat illustrates cultural, religion and symbolic values, as well as encompassing great architectural, archaeological and artistic significance. It is a place to behold, a place to wander and to explore. So take your time, seek out every inch this temple has to offer and let your imagination run away with you as you walk the ruins of this spectacular and respected place.